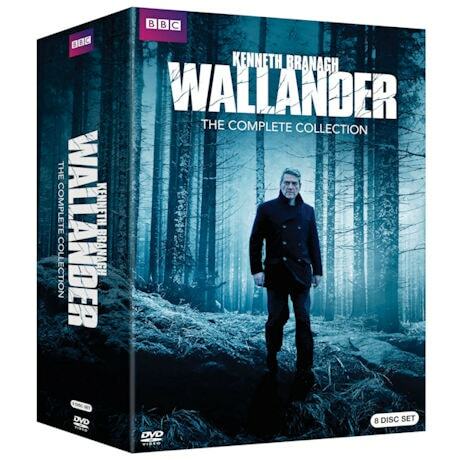 Renowned British actor Sir Kenneth Branagh won a Best Actor BAFTA, a primetime Emmy® nod, and a Golden Globe nomination for his portrayal of tormented Swedish detective Kurt Wallander. Based on the Nordic noir mysteries by best-selling author Henning Mankell, filmed in Sweden and Capetown, South Africa, this moody, gritty BBC drama finds Wallander solving heinous crimes as he plummets toward his own personal crisis. Seen on Masterpiece Mystery! 12 feature-length episodes, 18 hrs, 8 DVDs. Mature audiences.